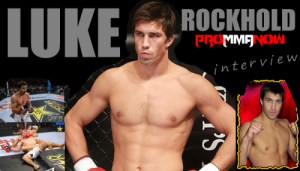 Today Strikeforce officials announced that the event set to take place in July will be headlined by a middleweight matchup between current champion Luke Rockhold (9-1) and challenger Tim Kennedy (14-3). “Strikeforce: Rockhold vs. Kennedy” will take place on July 14th at the Rose Garden in Portland, Oregon. Two other fights were also announced for the event including Lorenz Larkin vs. Robbie Lawler and Roger Gracie vs. Keith Jardine. The main card for this event will air on Showtime with the prelims aired on Showtime Extreme. Current Strikeforce middleweight champ Luke Rockhold is riding an eight fight win streak which began with his Strikeforce debut. Luke became champ by defeating Ronaldo Souza via unanimous decision at the “Strikeforce: Barnett Vs. Kharitonov” event which took place in September 2011. In his most recent fight, Rockhold successfully defended the title against UFC veteran Keith Jardine winning via first round TKO earlier this year. Tim Kennedy enters this fight coming off a victory over Robbie Lawler at “Strikeforce: Fedor Vs. Henderson” which was held in July 2011, with Kennedy winning the fight via unanimous decision. In August 2010, Tim took on Ronaldo Souza for the middleweight title but came out on the losing end of a decision. He bounced back from that loss by defeating Melvin Manhoef via submission at a Strikeforce event held in March 2011. Kennedy will now get a second chance at midddleweight gold in July.